Finding the right builder to construct your log home requires a certain amount of research. If you’ve never built a home before, the interviewing process can be daunting. We spoke with one of our most experienced log home builders, Steve Howard, owner of Howard Construction, in Berwick, Maine. Steve has been building log homes for 33 of his 34 years in the business and has some solid advice for home owners interviewing for their log home builder. Here are Steve’s top ten tips to get you started. Experience building log homes. Log homes are constructed differently than stick built construction, and so it makes sense to hire a builder who has a background in building log homes. Your builder should also have some experience with the manufacturer you’ve selected, as different log home companies use different building systems. Estimates. You get what you pay for. Steve recommends getting 3-4 estimates for building your log home, which can tell you a lot about the contractors you’re considering. If a contractor comes in 20 percent or more (higher or lower) than the average estimate, this should be a red flag. If the contractor is lowballing the project, you may find that he won’t have enough funds to pay for workmen’s compensation, insurance or materials. An estimate that’s too high may indicate inflated profit-taking, but not any better quality. References. Steve says this is one of the most important tools for finding your log home builder. References should cover three areas: reference names from the last three log homes built, log homes completed between 1-3 years ago, and business references, including companies where building materials are purchased. The first two sets of references will show how well the builder constructs his homes, and how well he or she works with customers. The business references will help to show how the builder handles funds and protect you from potential mechanical liens on your completed home. Follow Up. Once you get the references, follow up! These references may be the single most important way to ensure a positive building experience. Try to visit some of the homes so you can see the builder’s craftsmanship up close. Talk to other building references. Ask them what went right, what went wrong, how were problems dealt with. Former customers can give you insights about working with the builder that are unavailable from any other source. If you learn about something from a reference that needs further explanation, don’t be afraid to ask the builder what his perspective was. Rapport. Sit down and talk to the contractor. Does he listen to your ideas or does the builder dominate the conversation, and tell you what he will build? Being able to communicate with your builder from the start will make the construction process easier along the way. Make sure your contractor is responsive and available for questions. If you’re getting lots of voicemail and slow return calls, you may want to continue interviewing. Avoid friends and family. Steve holds fast to this personal rule for hiring a builder. Building a home can be a high anxiety proposition for many people. Working with a friend or family member may seem like the right thing to do, but Steve suggests that you ask yourself, “Can I fire this person if they don’t perform?” If the answer is no, you may want to consider a builder outside your circle. Paperwork. Ask to review the contractor’s insurance certification, as well as licenses for subcontractors like plumbers and electricians. Make sure that you receive release paperwork as stages are completed, to ensure that subcontractors are paid in a timely manner. If you still feel less than comfortable, ask the builder to provide you with a credit report. Contract. Review the contract with the contractor, line by line. Make sure the builder tells you what is included and what is not included in the contract. Discuss change order procedures. 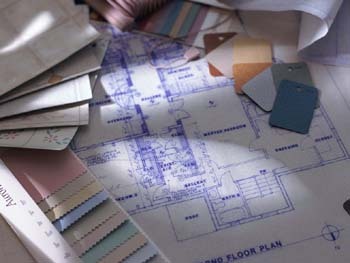 Change orders provide a record of changes during the building process. Even if there is no charge for a change, a change order can keep track of the details along the way. Money flow. If you’re funding the building yourself, Steve recommends staying away from a contractor who asks for more than 1-2 percent of the total contract to “hold a place.” A deposit of one-third or more should be a red flag indicating a cash flow problem. Timeframe should also be part of the discussion, with an average six- to nine-month completion window, more if the home is particularly large or complex. Payout timetables based on stages of completion such as log walls up, close-in, and interior rough-in should be included in the contract. Make sure to hold back at least five percent for completion to ensure timely finshing details are completed. Arrange for regular communication. Most people building a new home can’t visit the site as often as they’d like, especially if the log home is being built in another area. Make arrangements for a weekly conversation about progess, and include digital photos of the work in progress. Steve said that mistakes sometimes happen while building, but can usually be remedied if discovered early. Through a digital photo update on his vacation home, Steve noticed that a doorway was not in place between the kitchen and the dining room, and was able to have it remedied before the wall was completed. Steve said that he finds it amazing sometimes how little work homebuyers put into hiring a contractor. 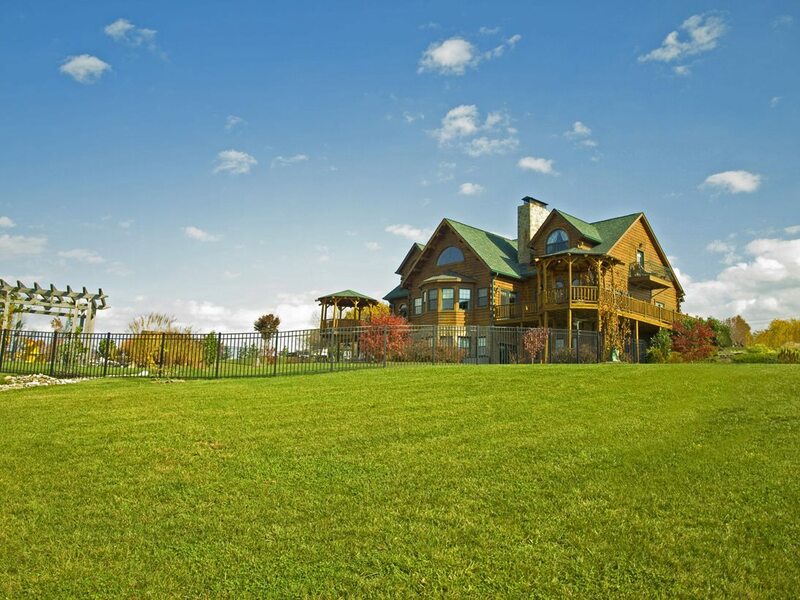 Many log home buyers spend years researching their log home, but then spend just a few hours on selecting the person to make their dream a reality. Steve highly recommends taking the time now to make sure your home—your biggest investment—is built right.